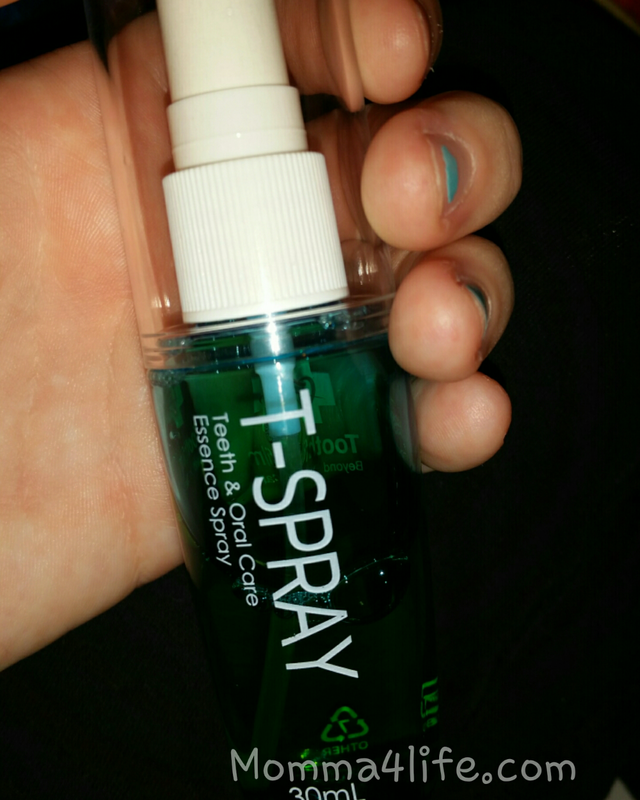 I am very excited to tell you about this Oral Spray T-Spray I had my doubts about this at first. But this spray is actually pretty nice it comes in a few different flavors like cranberry, green tea, and of course cool mint the one I tried. I have to tell you after you brush your teeth this is the perfect thing to spray to get rid of bad breath. All you do is spray one spray in the back of your throat then spray one spray in the front of your teeth take your time and move the liquid around your teeth with your tongue. I have to tell you the cool mint is a really good flavor I chose that one because it is just a mint flavor and I love mint it makes your mouth feel fresh. I do have to admit when you first spray it's not the best tasting stuff but that goes away and it completely takes all the bad taste out of your mouth and your breath is smelling fresh. I am very impressed with this spray and will definitely purchase some when this is gone. This spray also helps with whiter and brighter teeth basically the t spray prevents the growth of bacteria that causes stains in the teeth giving you a whiter and a brighter smile. 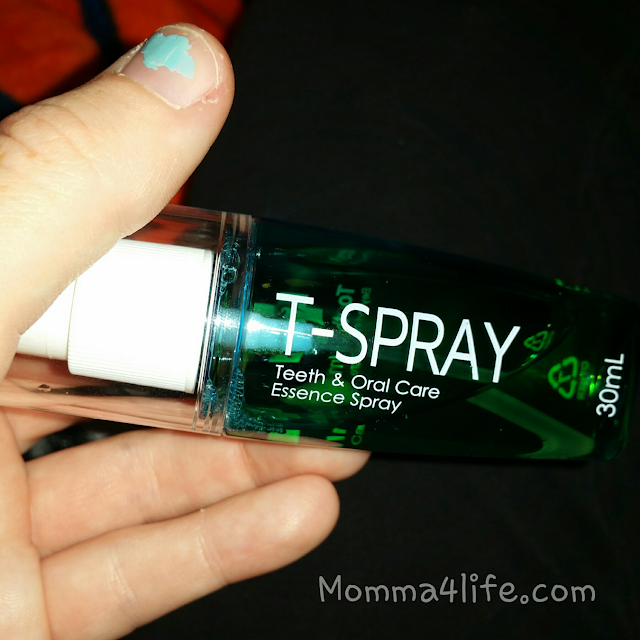 T-Spray targets those hard-to-reach areas preventing cavities from forming. It contains xylitol, which significantly reduces the rate of cavity formation. It also keeps your mouth moist, cleaning and helping a few sprays inside your mouth and teeth effectively washes away residue on teeth. I would love to give this a try and have my kids try it. Love that it contains xylitol, because anything that helps reduce cavity formation is a great thing. Also seems very easy to use. This is good stuff. Mint has anutibacterial properties, I have heard. And the other flavors sound super, too - especially the cranberry. This is a nice aid on maintaining good oral hygiene! I had never heard of this. It does sound like something I would carry with me! I'll look for it.